For the paper with writing, see Letter (paper). 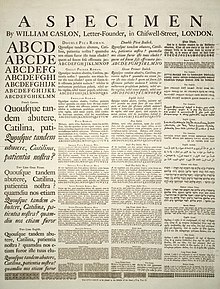 In languages that use an alphabet, for example English, each symbol in the alphabet is a letter. Letters represent sounds when the language is spoken. Some languages do not use letters for writing: Chinese, for example, uses "ideograms". Spanish: feliz has 5 letters and 5 sounds. English: happy has 5 letters and 4 sounds. Arabic alphabet: (Alphabetical from right to left) ﺍ, ﺏ, ﺕ, ﺙ, ﺝ, ﺡ, ﺥ, ﺩ, ﺫ, ﺭ, ﺯ, ﺱ, ﺵ, ﺹ, ﺽ, ﻁ, ﻅ, ﻉ, ﻍ, ﻑ, ﻕ, ﻙ, ﻝ, ﻡ, ﻥ, هـ, ﻭ, ﻱ.
Armenian alphabet: Ա, Բ, Գ, Դ, Ե, Զ, Է, Ը, Թ, Ժ, Ի, Լ, Խ, Ծ, Կ, Հ, Ձ, Ղ, Ճ, Մ, Յ, Ն, Շ, Ո, Չ, Պ, Ջ, Ռ, Ս, Վ, Տ, Ր, Ց, Ւ, Փ, Ք, Օ, Ֆ.
Syriac alphabet: (Alphabetical from right to left) ܐ, ܒ, ܓ, ܕ, ܗ, ܘ, ܙ, ܚ, ܛ, ܝ, ܟܟ, ܠ, ܡܡ, ܢܢ, ܣ, ܥ, ܦ, ܨ, ܩ, ܪ, ܫ, ܬ.
Cyrillic script: А, Б, В, Г, Д, Е, Ж, З, И, І, К, Л, М, Н, О, П, Р, С, Т, У, Ф, Х, Ц, Ч, Ш, Щ, Ъ, Ы, Ь, Ю, Я.
Greek alphabet: Α, Β, Γ, Δ, Ε, Ζ, Η, Θ, Ι, Κ, Λ, Μ, Ν, Ξ, Ο, Π, Ρ, Σ, Τ, Υ, Φ, Χ, Ψ, Ω.
Hebrew alphabet: (Alphabetical from right to left) א, ב, ג, ד, ה, ו, ז, ח, ט, י, כ, ל, מ, נ, ס, ע, פ, צ, ק, ר, ש, ת.
Latin alphabet: A, B, C, D, E, F, G, H, I, J, K, L, M, N, O, P, Q, R, S, T, U, V, W, X, Y, Z. Circles with Greek, Cyrillic and Latin Alphabets, who are sharing many of the same letters, although having different use for pronunciations. Tifinagh (Amazigh alphabet) : ⴰ, ⴱ, ⵛ, ⴷ, ⴹ, ⴻ, ⴼ, ⴳ, ⴳⵯ, ⵀ, ⵃ, ⵉ, ⵊ, ⴽ, ⴽⵯ, ⵍ, ⵎ, ⵏ, ⵓ, ⵄ, ⵖ, ⵅ, ⵇ, ⵔ, ⵕ, ⵙ, ⵚ, ⵜ, ⵟ, ⵡ, ⵢ, ⵣ, ⵥ. For other writing systems and their letters, see List of writing systems. The Simple English Wiktionary has a definition for: letter. This page was last changed on 11 November 2018, at 01:09.